Published On Saturday, December 19, 2009 By admin. Under: Episodes, Series 1. Another successful dodgy deal means Del has over a grand’s worth of lead from a disused factory to get rid of. When Rodney points out the three tons of lead are in fact a D.I.Y nuclear fall-out shelter, Del refuses to believe him until he reads the accompanying brochure. With the threat of nuclear holocaust preying on Rodney’s nerves he asks Del what he’d do if he heard the four minute warning. Without an answer, Del considers putting a survival plan into action that means reaching Grandad’s allotment in time to take shelter. It’s during a practice run for the Trotter counter-strike survival plan that they get stopped for speeding by the police – they never get to find out whether they’d make it in time. In The Russians are Coming, At the point where Grandad suggests building the shelter in the New Forest As Del goes to study the plans for the shelter you see Grandead beigin to move out of his chair to stand up. However in the next seen he is seen sitting back in his chair.! 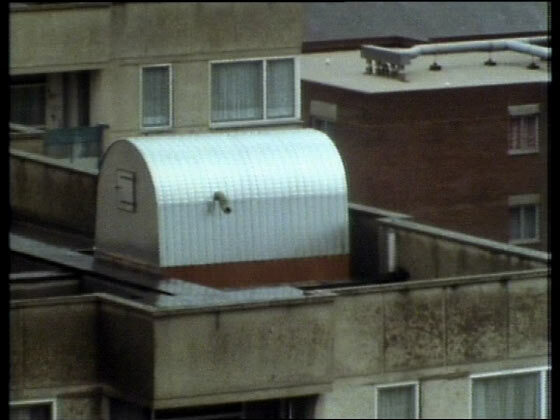 In The Russians are Coming, At the end of the episode dell,rodney,grandad are in there fall out shelter,just after thay say good night to one another the camera starts to reveal where thay are,but it is day light! 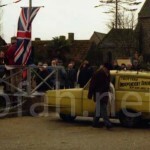 In The Russians are Coming, When Eric gets out of the police car, he walks right past the end of his car and is about level with the Trotters’ van. However, milli-seconds later, when he turns back round to shout at Wayne, he has suddenly dropped back to being level with the front door of his own car. In The Russians are Coming, Could the Uncle George mentioned in “The Russians Are Coming” possibly be Del’s godfather, as mentioned in Strained Relations”? In The Russians are Coming, ‘Matthew Burton’ below commented on Grandad’s brother George. In ‘Strained Relations’ Albert tells Del he is his Godfather and Del says ‘I thought Uncle George was my Godfather?’ (Which Albert replies ‘Me and ‘im tossed a coin!’) So Albert and Grandad DO have another brother! In The Russians are Coming, Whilst in the nuclear shelter, grandad describes how boys aged 14 tried to look 18, and that his brother george was 18 and tried to look 14. Is this another trotter relation that we do not know about? 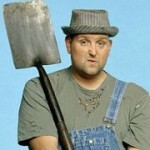 If so that means that del-boy and rodders had another great uncle! Am I right or am I wrong? 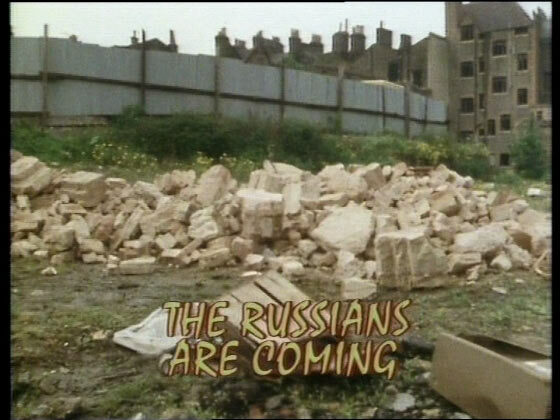 In The Russians are Coming, When Del and Rodders go to the site where they pick the lead up from Del tells Rod that he had bought the bricks from a factory that was demolished,however the land around the rubble suggests nothing had ever been built on it as it is all grassed. In The Russians are Coming, ‘Alan Rogers’ comments below on the12.10 time and that it is daylight outside. This was part of the humour as it was 12.10 in the afternoon and that Del, Rodney and Grandad had lost all context of time due to no windows! In The Russians are Coming, When Del Rodders and Grandad are in their nuclear fall-out shelter, Del asks Rodney for the time, Rodney says, “12.10”, Then Del tells Grandad that it’s bedtime, but when the camera zooms out from the outside of the shelter, It’s daytime! 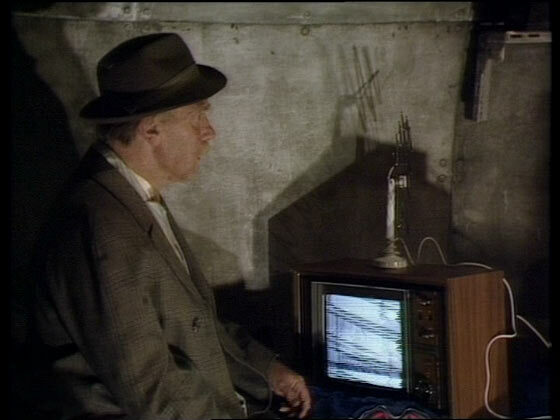 In The Russians are Coming, Grandad complains about not being able to pick up a picture on his TV…how does he get any power at all in a nuclear fall-out shelter? In The Russians are Coming, the 3 wheeled vans registration is APL 911 H whereas in “Modern Man” the vans reg is DHV 938 D.
In The Russians are Coming, when the van crossing the road at the giveway, after Rodney tells Del to go after the red car, Del goes but stops, Rodney then says i meant that one. 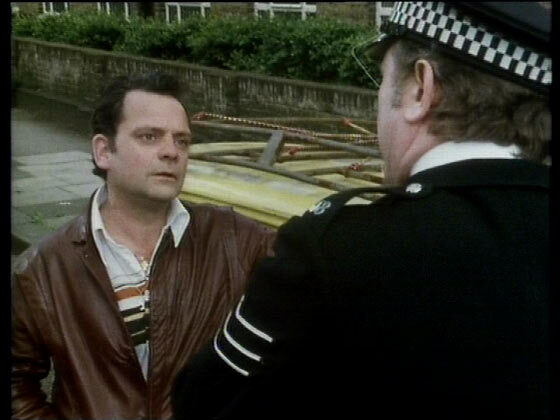 Then Del clearly shouts ” You T*T Rodney. The idea for the script was based on some people JS was reading about who did as the script suggests, purchase lead and end up with an air-raid shelter. Harlech Tower (Nelson Mandela House). The garages are no longer there. 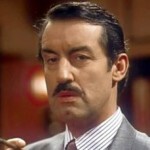 Favourite scene from Only Fools and Horses? I have to say I’m very fond of this episode, though I can certainly see why some others may not be a big fan of the episode due the lack of action and story. Something different about this episode is the end credits! They appear different compared to all the other episodes in Series 1. I’m just wondering if anyone knows if the bit when they run out of the flat to the van was filmed at Harlech tower? 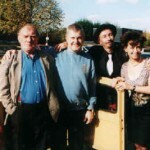 I would like to say how much I enjoyed watching the awards show of the Memorandam Show for the Life of Ronnie Barker. What year was It broadcast on the The television. Also Last saturday I was inspired by the show From ronnie barker as well. Intresting thing about the registration DHV 938 D is that it is a London Plate. Thus giving you the impression that Del may have brought the Van brand new when he was younger. 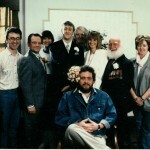 Only Fools Comeback on the cards?